International aid for human rights is often helpful, but it is also too seasonal, insufficient and unsustainable. In some cases, moreover, it can actually be detrimental. What most countries in the global South need is fair trade, not aid. Many African countries have abundant natural resources and a young, vibrant population. Managed properly, these assets could substantially uplift impoverished communities. Realising this, the African Union (AU) is re-examining its financing model. The AU succeeded the Organisation of African Unity (OAU), created in 1963 to help liberate African countries from colonial rule. When South Africa shook off apartheid in 1994, the OAU began reinventing itself to face the new century’s challenges. In 2001, the AU was launched with a commitment to build a united and strong Africa. To do this, it adopted a series of legal instruments and policy declarations covering governance, human rights, peace and security. The AU’s ultimate goal is to create an African Economic Community that will bring about a “second liberation” of the continent through a robust, globally competitive economy. The AU also has a new approach to governance and human rights, based on the notion that wars, conflict and human rights abuse all undermine economic development. The AU celebrated its 50th anniversary in 2013, and its new “Agenda 2063” provides a roadmap for taking full ownership over Africa’s resources in the next 50 years. The AU's own balance sheet paints a gloomy picture, however. In June 2014, the AU's most recent summit approved a 2015 budget of US$ 522 million, only 25% of which was Africa-financed; the rest comes from international sources. AU member states finance most of the Union's operational budget such as running costs and staff benefits, but external partners finance over 95% of its programmatic budget (e.g. peace and human rights missions). This has been the trend for the last five years. So who really owns and drives the African human rights agenda? In 2006, the then Senegalese president, Abdoulaye Wade, sought alternative financing models for the AU, including its human rights work. A special panel wrote a report, but their ideas did not get much attention until 2011, when the AU asked former Nigerian president Olusegun Obasanjo to revisit the issue. Obasanjo recommended financing the AU and its institutions— including the African Court, African Commission on Human and Peoples’ Rights and the African Committee on the Rights and Welfare of the Child—through taxes on airline tickets, text messages and hotel stays. He projected that this could earn the AU over $2 billion annually. This would more than quadruple the organisation’s budget, and hopefully, some of these monies would fund the AU’s human rights work. 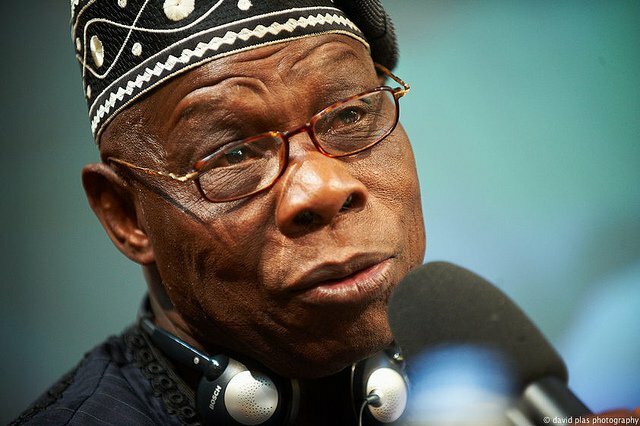 Olusegun Obasanjo, Former Nigerian President recommended financing the AU and its institutions through taxes on airline tickets, text messages and hotel stays. On the other hand, some AU members fear that by imposing new taxes, they could hurt financially struggling citizens or reduce the continent’s economic competitiveness. Others worry that a well-financed and fully capable AU might actually succeed in holding its members to account for violations of governance and human rights. The African Human Rights system, composed of the African Commission on Human and Peoples' Rights, the African Court on Human and Peoples' Rights and the African Committee of Experts on the Rights and Welfare of the Child, has already begun to critique the conduct of African states. These bodies can receive complaints from individuals and NGOs, investigate, and issue decisions against states. Consider, for example, the recent African Court ruling that Tanzania's ban on independent electoral candidates violates its obligations under the African Human Rights Charter. Remarkably, the court made this ruling even though it is hosted by, and located in, Tanzania. If the African Union’s human rights bodies could be funded by a special tax on airline tickets, texts and hotel stays, they could become even stronger and more independent. African civil society organisations should insist that the AU adopt Obasanjo’s recommendations, and send some of those funds to the AU’s human rights bodies. This is the best way to ensure the African Court, and other African human rights bodies, can independently investigate abuses. The new revenue could even help the African Union support local civil society groups, and help the continent as a whole take ownership over its future.